But then again, innocent until proven guilty. Thats a bit of a shock if true. Anyone have any more news? If there's any concern they (the owners) have no real alternative but to remove a person from a situation where, if guilty any evidence could be removed or altered, or if innocent of any wrongdoing the person has an"cloud" over them and so would have to continue with a role while at the same time be concerned about the investigation. That is an impossible situation for anybody to be in and be effective in their role. On that basis, it's not even innocent until proven guilty it's enquiries ongoing. The worry is is the complaint is from the parent holding company following the operational review. Whilst it is normal practice to suspend a senior executive pending the investigation, it doesn't look good. The official statement does however stress BAU, which is some consolation. Apparently the Finance Director resigned earlier this week for "personal reasons" but is now back at work. I wonder if house renovations are the cause of the problem? I've rarely heard of a CEO being 'reinstated' after being suspended. So does that mean that the fat lady is singing for Bahar? investigation is carried out into a complaint about his conduct. against the Lotus boss was taken following an operational review. company gave no further details surrounding the complaint. campaign locally to keep the company in Norfolk. I think Bibs meant the page about his house! Could be about that, be and easy way to remove someone with no severance package early if there was any truth in using company money for his personal home. What ever its all about I just don't see him coming back. Which I actually think would be a shame. Could it be the registering a company thing? Lotus China what ever it was? Getting ready to sell the company and lining his pockets? Probably we will never know what the real reason is for the suspension. But suspending him for some houses, that seems a bit ridiculous isn't it? I think it will be something much more significant. Definitively not good news at this time. 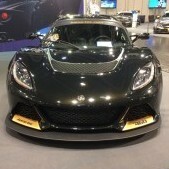 Hopefully Lotus will issue a press release shortly. I recon he's being given the boot. He allegedly spent the best part of half a million doing up a rental, that's fairly significant in my opinion! 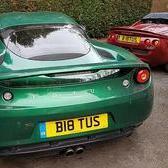 That could be seen as an analogy to express his style of running Lotus. I was in the "for" camp, he does have his share of doubters judging from the reaction on other sites - don't know how to judge this at the moment. I agree that is a bad thing, but I doubt that is something to suspend him for. If that was the only thing they had or not going according plans, then they would have pointed at it, filled the hole and kept an eye he never did it again. So I expect something much more bigger to be the reason, but that is only pure speculation of course. Not if MJK has anything to do with it They burnt that bridge many times over. I am a big fan of Karma. Thats all I'll say. Wish it had been my rental he was doing up!